You can choose to save table space with this Wall-Mountable Music System. The CD player is vertical loading, keeping this system slim. The 3.5mm input can be used for connecting digital audio players. Bluetooth range is 33 feet and this system also has NFC for easy pairing. 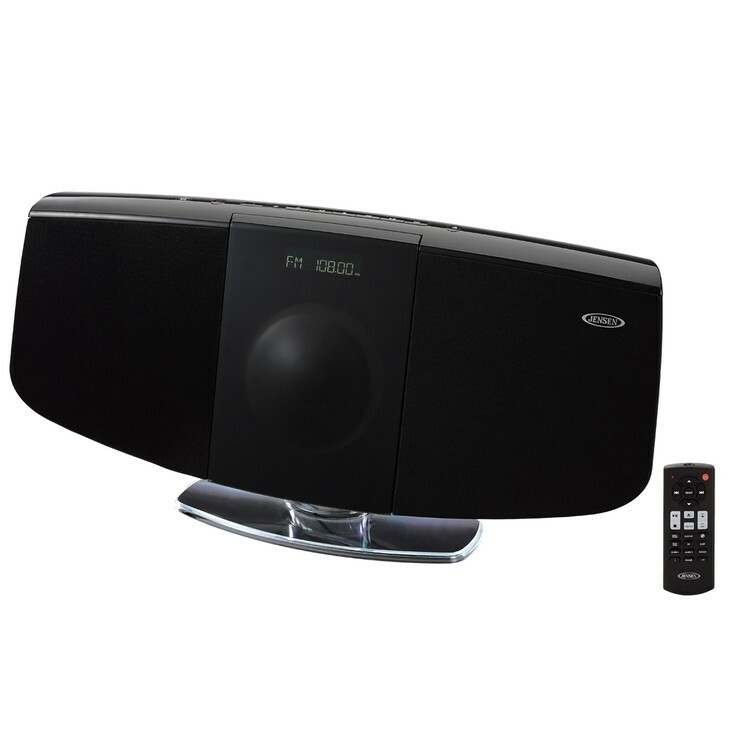 Includes a FM stereo receiver with 20 presets and PLL digital tuning. The 1-amp USB port makes it a great charging station for smartphones. It has a dual alarm clock that allows you to choose your audio source. This system includes a wall-mount kit, remote control & 120V AC adapter.